Vern Burkhardt (VB): What is the "customer revolution" that has been enabled by the Internet, wireless devices, and flexible, dynamically inter-connectable applications? Patricia Seybold: The crux of the customer revolution is that all of these technologies give everybody information at their fingertips including the ability to do cost comparisons – a lot of comparison-shopping. They can also to do a lot of their own research about how to solve particular problems, whether it's their healthcare, fixing their car, or whatever. Now information is in peoples' hands about how to do things and what is available at what price. Information is on every company's website about their policies and procedures, dealing with returns or expired warranties, and even different pricing policies in different countries. Things that used to be hidden like our internal policies and business processes are now more and more available to customers through these websites. Customers also have access to self-service capabilities using a cell phone, blackberry or an online site. The gist of it is customers are in control, and they have all the information that they need at their fingertips. You can't show them only the products you want them to see. You can't try to fool them with bundled pricing that hides a lot of information. You can't have customer unfriendly policies because they're going to figure those out, and broadcast them to ten million people they don't even know. Better or worse we're at the mercy of consumer and business customers who have a lot more control. VB: And therefore more power. Patricia Seybold: And therefore more power, which I think is a good thing. VB: In The Customer Revolution, published in 2001, you say, "In the customer economy, loyal customers have become the most precious commodity. Today the hardest thing for a company to acquire is not investment capital, products, employees, or even a brand. It's customer loyalty". Is this even more the case today? Patricia Seybold: Yes, it's harder to keep customer loyalty. Therefore it's even more important to invest the time and effort try to figure out what is going to make your customers feel they want to stick around. Usually it has to do not only with making sure that you are filling their obvious needs, but also their underlying emotional needs. Customers have many choices. It's easy to get information online, and so it 's easy for them to hop from company to company, from service provider to service provider. Because of the customer revolution and the increased power that the customers have, there now are laws to make it much easier for customers to move from supplier to supplier. One example is having your phone number portable from one cell phone to another. It was just becoming law in the U.S. when The Customer Revolution was being published. This portability was already in effect in most of Europe and Asia. If you move from Vodafone to T-Mobile, for example, you could take your phone number with you. VB: Because there is a danger of products becoming commodities, commoditization as compared to customer experience. Patricia Seybold: Exactly. It's through a great customer experience that you turn something from being a commodity to being something that customers really enjoy. A good example is when ExxonMobil in the U.S. started the speed pass. They were of the first, I think, to offer the capability of filling your fuel tank without sticking your credit card in a slot. It was enabled by a sticker you put on your car, or a wand you had on your keychain, which would automatically log you in and authenticate the fact you have a credit card on file. It saved only one step in the process. Yet I noticed in my own behavior that I would always go out of my way to find an ExxonMobil fuel station. It was that simple – it made me feel good. It made me feel special that I could do this one extra thing, whereas other people had to get out of their car and do more steps. You have to figure out what you can do to make life easier for people. It's going to change all the time. Loyalty will come from delivering an experience that makes it easy and emotionally satisfying to your customers, and that will really differentiate your brand. People find themselves connecting to your brand in a way that connects to their self-image – such as "I'm an Apple kind of person." VB: "The feelings customers have when they interact with your brand determine their loyalty." Would you explain? Patricia Seybold: A lot of times people who develop brands are developing them from the product or the company out. They ask what kind of experience do we want customers to have and, therefore, what is the experience we want to wrap around our products, service, and the way people encounter us. Another way to do it is to understand the target customer base, how they view themselves, and what their self-image is. If you peel away all the layers around a brand onion, what is at the centre of it is that my self-image is tightly connected to this brand experience. I see myself as an Apple, Volvo, Cheerios, or a Staples kind of person. So how do you make that happen? It's obviously a two-way street but one way is to understand what makes those people tick, and what it is you can do to really appeal to them. Not just by making things easy for them but also appeal to them emotionally. The Staples "Easy Button" is a good example because Staples has done lots of things to streamline business processes, like the Staples Easy-Rebate program that I wrote about in The Customer Revolution. They've streamlined the shopping experience and connected it that little hokey Staples easy button that doesn't do anything--it's just a pretty red button you stick on your desk and pound on it for a joke. But it makes a connection for people that think, 'Oh yes, this is something I care about, it's connected to the Staples brand now so I am expecting everything in the Staples stores to be easy'. VB: In the 'customer economy', "the market value of your business is and will continue to be directly proportional to the value of your customer relationships." Does this help explain some of the large drops in stock market value of some businesses in today's turbulent economy, or do investors consider customer metrics when deciding which stocks to buy and sell? Patricia Seybold: Yes, I do think the customer metrics that I talk about in The Customer Revolution are important – things like customer retention, the share of customers' wallet, or how fast the company is able to acquire new customers. Another useful metric is how much momentum does the company have, as measured by acquiring new customers through referrals by existing customers. Those are the kinds of customer metrics that I mean when I talk about the value of your customer relationships. It clearly is the way any company's revenue is generated; it's from customers paying for products. What may be deceiving in a down market – like the one we're in right now – is there are customers who might have been willing to buy things from a company but aren't because they're not buying from anyone. So if I were to compare a large number of companies I may draw the wrong conclusion. For example, is Macy's a bad company because its sales are down, and more people are going to Wal-Mart? I don't think so. It's just that everybody is going down market in this economy. But if you were to examine a group of companies that offer goods and services in the same price range, I think it's useful to compare their customer metrics to see well how are they doing relative to each other in retaining customers. Are customers switching? Are they renewing? Are they buying more from one brand compared to going to another brand? VB: A good predictor of long-term success or long-term strategy compared to short-term emotional reaction to the stock market? Patricia Seybold: Yes, exactly. A good and relatively easy thing to do would be to monitor on the Web to determine which companies are customers most dissatisfied with. Here's a simple way to do it. You can set a little filter on Twitter, if you're a Twitter person, and look at what people are saying about customer support of thousands of companies to notice which ones are getting kudos, and which ones customers are complaining about because they're receiving lousy customer service. That's a pretty good predictor of who is going to be around for a while. VB: One of your recommendations in The Customer Revolution is "value customers' time". Would you talk about that? Patricia Seybold: For business customers in particular, but also for consumer customers, it's probably one of the most important things that most companies don't pay attention to. When they do pay attention you see it as a differentiator. I'll again use Wal-Mart as an example. Wal-Mart figured out that it was very important to customers to be able to get through the checkout line quickly. Of course everybody knows that fact, but Wal-Mart institutionalized it by making sure that if the line-up is too long, or the wait time was too long, they will quickly open up a new checkout line. That became part of the Wal-Mart brand promise. A good example for 'business to business' commerce relates to legal contracts. If your legal contracts for a business arrangement – a business relationship – are too onerous, and therefore take too long to negotiate, you're going to hurt your level of sales and your customer experience. Often when we're consulting with companies we like to have customers show us how they would ideally like to get things done. Often the most important thing that customers care about is their time. For example, we were doing a customer co-design with Amazon and Amazon retailers. Retailers were trying to decide whether or not to host their online shopping site using the Amazon software. The retailers said, "We love your infrastructure, Amazon, but your contracts take us about sixty days to negotiate between your and our lawyers, and we only have thirty days to make this decision and get going before the next Christmas season. So we can't take 60 days to negotiate a contract. We have to have something that can be done in two days." As soon as Amazon realized this was an issue they were able to change their contract terms to make it much easier to quickly reach agreements. As a result, they were able to close a lot more of those deals. VB: You advise your clients to expect to change their business model frequently. Has it been your experience that business leaders and employees are able to generate and implement such a fast pace of change? Patricia Seybold: It has to do with morphing your business, being ready to do that frequently. You need to be able to move on a dime. You need to be open-minded, flexible, and set up your monitoring system so you can spot patterns of behavior. You want everybody in your company to be bought into the need to be proactive in spotting how customers' behavior is changing. What are the new goods and services customers might need. What customers may want to change. What products they will buy, and how they wish to pay for their products. Trends and patterns in what customers consume. How often customers will renew their business relationships with existing suppliers. The list goes on. If you can get the culture of the company into a customer adaptive, flexible frame of mind, with monitoring of customers' behaviors, you will be in a better position for constantly morphing to take advantage of new opportunities that arise. Unless you do so, you're likely doomed to a top-down business model, which will not be adaptive to changing customer needs. Employees who are close to your customers will be asking for changes in the company's policies and business processes, and instead of resisting change, the senior managers need to embrace it. You need to have a permeable barrier between your organization and the customer. The companies that are able to do business model morphing on a constant basis are often the ones where the employees and customers are engaged in a lot of online communities. They're discussing things, sharing great ideas, and jointly solving problems. That is a different kind of business relationship. It's one that is very porous – where the boundaries between the customers and the employees are much more porous. VB: When starting to work with a new client, what are some of the things you look for when assessing whether that company has a customer-focused culture? Patricia Seybold: One of the things is customer metrics from the standpoint of financial indicators. How do we know a company is going to be profitable based on how many times a customer is referring other customers or buying more products from the company? The other kind of customer-metric is customer operational metrics, measures in term of what matters most to customers. We talked earlier about the Wal-Mart example. The indicators of success would relate to what matters most to customers, such as standing in line at a checkout counter. Another good example would be for an airline. If my flight has been cancelled due to weather or for whatever other reasons, how long does it take the airline to rebook me on another flight and make my life easy? Or a customer who is at Harrah's Casino Hotel with $200 to spend over a weekend to enjoy a little fun gambling, spends $150 of it on Friday night may not enjoy the whole weekend if the money for gambling runs out too soon. Harrah's exhibits a customer-focused culture because it monitors customers' net gambling losses so it knows when it's time to give a free theatre or dinner ticket, for example, to stretch their gambling enjoyment across the whole weekend. VB: So they have a good total experience. Patricia Seybold: They have an excellent total experience. You can tell if a company is really customer-centred if every employee knows how customers measure success, and how they can meet these expectations. VB: What is "outside innovation" and why is it imperative? Patricia Seybold: Outside innovation occurs when about 50% of your new product ideas and services, and even your business model, are coming from your customers – coming from the outside in. I believe it is imperative because it's not possible for any business to remain at the top of the game, and as innovative as it should be over a long period of time, by relying only on its own smart people, know-how, and internal research and development capacity. It is customers who are going to push the envelope by constantly telling you what they need. By showing you what they're trying to do that your products and services don't. They're the ones you need to engage with if you want to really understand how to offer better products and services that are going to satisfy the lead customers, as well as future mainstream customers. VB: What are "customer scenarios" and how do they help a business change from an "inside-out" approach in business design to a "customer outcome-focused" approach? Patricia Seybold: Customer scenario mapping is a technique we developed about twenty years ago, and we've refined it over the years. We define a customer scenario as being something that a group of people with a great deal in common would ideally like to get something done. It's not how they do it today; it's how they would ideally like to do it. Each scenario is going to be distinct for each customer segment – each group of customers. Retirees would probably want to do a leisure vacation, and it would look a lot different for them than it would to a family with three small kids. The way customer scenario mapping works is you get groups of customers with common interests together – ideally multiple groups in the same design session – and have the customers map out how they would ideally like to get something done. In particular, they identify what are their key moments of truth. These are the emotional, critical points that are most important to them in terms of how they measure success at each step or stage in the process of getting something done. These are the customer metrics we talked about earlier. What's important about the customer scenario mapping process is the customers are getting to design how they would ideally like to do it – not how they do it today. And they're doing it with a cross-functional team from your company, perhaps also business partners such as distributors, resellers, or suppliers. Everybody gets to brainstorm and invent new ways of creating a better customer experience, and better products and services that would satisfy that customer segment's needs. VB: Those customer scenario maps enable customer innovation and, in turn, your business success. Patricia Seybold: That's right. Each customer scenario map gives you a lot. There's usually a broad range of innovative ideas from simple quick hits to a completely different business strategy. There'll be things that can quickly be done in the short-term such as changing policies or business processes. You'll wonder why you didn't think of making the changes! It could also result in major initiatives that involve a completely new product direction. Often these innovative ideas will need research and fleshing out in more detail. It may take one, two, or three years of R&D and further development to bring the innovation to market and make it a viable business proposition but the idea will likely not have arisen without the customer scenario map. VB: Would you talk about the important role 'lead customers', who have passion, can play in co-designing a company's products? 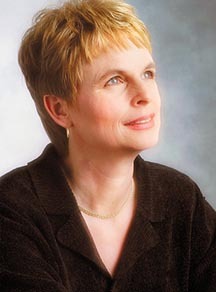 Patricia Seybold: I use the term 'lead customers'; Eric von Hippel uses the term "lead users". Lead customers may or may not be your current customers. They may have been former customers, or they may be somebody else's customers. They're people who are early adopters of technology, but the innovation doesn't necessarily have to be technology-related. They're the people who are the most passionate about the particular industry segment that you're in. And they're very thoughtful and insightful, and they tend to push the envelope. If you sell food they might be cereal junkies or donut freaks. If they're pet owners, they're particularly fanatical about their pets. We discovered when you engage these kinds of passionate, insightful, thoughtful 'lead customers' in customer scenario mapping sessions you get much better results. These are the folks who are great to engage in customer co-design or customer scenario mapping because they won't merely take you down the tried and true cow paths. They have already tried to do a lot of things with your current products and services, which didn't meet their needs. They're always pushing the envelope to try to invent new things. 'Lead customers' tend to think of the bigger picture. They will definitely think 'out-of-the-box' and say, "No, this is the way it should be done. You don't need ten steps you need two. Here they are." They'll show you what they need, and then they'll be very specific about what are the outcomes that they're looking for. It's not that they want to be able to book a ticket on a plane and make sure they get an aisle seat. No, it's a certain kind of experience they want to have on the airplane and when they get to their destination. VB: You say National Instruments' engineers are encouraged to devote up to ten percent of their time to innovative, 'out-of-the-box' ideas, and to co-design these new ideas with ten to fifteen lead customers. Is this a winning way to combine inside and outside innovation? Patricia Seybold: Yes, I think so. National Instruments has done a particularly great job of finding lead customers, setting up a program to nurture them, and involving them in co-designing new products and services. In fact, you can't get a new product approved unless you have a group of lead users who have helped you formulate it. The other thing worthy of note is National Instruments has vibrant online customer communities. Customers of all stripes and different disciplines, such as scientists and engineers, can ask and answer each other's questions and share their latest thoughts. The ideas that flow can be leveraged. These online communities can even sort out what should be the functions and features included in next generations of software releases. VB: Self serve and giving customers the ability to innovate and change a company's products using online toolkits seems to be a successful way of generating customer loyalty. Are these business differentiators? Patricia Seybold: Certainly having customer self-service is an important prerequisite today. You have to allow customers to serve themselves as much as possible. A definite differentiator is providing online toolkits to enable customers to custom configure or design something. Self-service is almost the cost of entry. The next step is to provide customers with the tools to do something they couldn't easily do by talking to somebody or by rolling up their sleeves and working at it. It may be designing an athletic shoe, configuring a computer system, or selecting the sleeve lengths and the type of collar and pocket you want on a man's suit jacket. Those are the kinds of toolkits that are real differentiators. Once customers have used online toolkits to custom design their product and solution, they tend to want to come back and order again. The experience of doing it is almost as satisfying as the product and service they receive. Obviously, some customers prefer to call or have somebody help with an order or complete a process. That capability usually also needs to be offered but it would seldom be a business differentiator. VB: When co-designing new business processes, new products, new marketing ideas and better product positioning, you recommend that companies establish online customer communities, observe customers, have discovery sessions with groups of customers where they reveal their deep feelings, engage customers in deep dialogue, and listen to them. What advice do you have for those who still rely on customer surveys and focus groups? Patricia Seybold: There is a place for customer surveys. They can pre-screen customers, or give a very broad sense of where you are dropping the ball or what can we do better. This is particularly true if the surveys are worded well, meaning it shouldn't be a one-size fits all survey. Using a business example, you should use different survey questions for somebody whose job it is to select and/or recommend a product than you would for the purchasing agent whose job it is to purchase the product, negotiate the contract, set up the terms and conditions, pay the bills, and monitor suppliers' performance. You need surveys that are specific to the jobs people are doing, or the roles that they play vis-à-vis your products and services. If you do that over a broad group of customers over a period of time, you can certainly get indicators. They're rear view mirror indicators. They are not predictive but they will tell you what are the things that are hardest for customers to do, and what are the things customers value the most. It's always good to be able to collect that information on an ongoing basis, but it's not enough. You don't get as much creativity out of focus groups as you might hope. The problem that I see with a lot of focus groups is they involve showing customers what you've come up with, asking them to comment or vote on them. This doesn't enable you to try to put yourselves in the customers' shoes, or get them to talk about how they like to do things, what they care about, or what their frustrations are. And then let them brainstorm solutions or new ideas independently of your ideas. VB: You describe having an online community, such as Hallmark has had since 2001 and Kraft Foods since 2003, as "like keeping those customers in a conference room forever". And like having dialog that results in "deeper relationships". Would you talk about that? Patricia Seybold: Sure. The best kinds of online communities are those where the customers are talking among themselves about the things they care about. In a business context it would be, referring to the National Instruments example I used earlier, where you had scientists or engineers – who are not programmers – using software and the hardware tools, which are called virtual instruments. They could use these tools to monitor and measure signals whether they're out in the field as environmental scientists, trying to improve the bobsled run for the Jamaicans, or doing some kind of chemical analysis. These people are specialists in their fields, but they're not computer jocks or computer programmers. Yet, the virtual instrumentation application they're using with their instruments enables them to write software programs to specify what input they are measuring, what output they're producing, and how they analyze those signals. What's fascinating about online communities is that people from different fields will ask each other many questions. For example, 'how would you measure the velocity of a falling snowflake' was one of the discussions I found on their community in the middle of February. People jumped in from all over the world to talk about different algorithms and different techniques, and joked among themselves about wind and weather and all kinds of other things. They're talking about things they're interested in, their jobs rely on, where their curiosity is piqued, or they find humorous. They're building relationships with each other often across long distances, and often across different disciplines or fields. Yet they're able to help each other figure things out, understand what's going on, and make improvements. A company can receive a lot of benefits when there is a vital, online community where the customers are talking amongst themselves about how they do their jobs, how they solve problems, and what they're trying to do. The customers will share ideas about how they use the online toolkits or even recipes. Employees will chime into the discussion and offer tips and encouragement. That's indicative of a customer-centric company, and a healthy balance between the customers and the company. The other thing some companies do, even though the customers are talking among themselves, is have field engineers and other subject matter experts both listening to what customers are saying, and making comments and offering advice. The key point is it isn't the company talking to the customers. The customers are talking to each other, with people from the company listening and adding insights when it makes sense. VB: People from the company are engaged but they're not talking at the customers. VB: Like you, I had not heard of Unilever's marketing strategy for deodorant body spray based on the emotional premise "AXE helps guys get the girl", with "too-racy-for-TV" video clips on a dedicated website. Does it surprise you that this kind of marketing strategy still appears to be successful in these "enlightened" times? Patricia Seybold: I think they're appealing to the basest instincts or interests of a particular pocket market, in this case, young men with a lot of testosterone. The Axe Effect marketing campaign worked, and it's still going on as far as I know. VB: Yes I looked it up. It is. Patricia Seybold: Perhaps these guys like strutting their stuff, seeing the bizarre and absurd, and love the fact they are being given that capability. VB: Zopa's founders discovered that "freeformers" have a high level of hostility toward financial institutions? Do you think there are now a lot more "freeformers" as a result of the problems caused by the banks, resulting in large bailouts in a number of countries? If so, are the Zopa and other money lending business models likely to gain in popularity in the U.S. and elsewhere? Patricia Seybold: I think so, absolutely. I like the fact you said in the U.S. and elsewhere. I was recently in Brazil, and one of the things I noticed is the credit situation in Brazil is even tighter – particularly for credit cards than in the United States. For example, the typical interest is about 45% for a Brazilian credit card. So, of course, people lend to each other. What Zopa does is make it easy for people to lend from each other. The same thing happens with Circle Lending, which was bought by Virgin, and is now called Virgin Money. I think that kind of more affordable lend and borrow service is going to be much more popular. VB: That wouldn't have been possible without the Internet, or it would have been very local community oriented. Now it can be a much broader group of lenders and borrowers geographically-speaking. Patricia Seybold: That's right. It can be from all over the world, in fact. VB: You talk about how Staples co-designed its "That was Easy" brand, and how this guided a number of other innovations designed with "lead customers" as "consultants" – with all aimed at easing customers' points of pain. An example is the re-design of the manufacturers' rebate process in response to customers' "Moments of Truth" feedback about the old process. Have you encountered cases where businesses have simply changed their slogan in hopes that that action, in and of itself, would increase sales and customer loyalty? Patricia Seybold: I have in a few cases. If your logo, brand identity, and slogan are old-fashioned and don't reflect the way customers currently think about you, or the way you're actually behaving, then an identity change or a slogan change can be beneficial. It works if you've already begun to change in the direction customers are already heading, and your customers recognize that you're able to provide them with the experience represented by the new identity. Your new identity must match what customers have come to value, and be consistent with how customers are staring to think of you. VB: The identity must match the fact that you really are something different than in the past. VB: Since your book was published, have you gained additional insights about how the exploding growth of the blogosphere can be effectively used to refine or change a company's business model, or help them be part of outside innovation? Patricia Seybold: That's a good question. I certainly learned a lot more about blogging since I wrote Outside Innovation. I've been participating more. VB: You have a blog. Patricia Seybold: Yes. I have noticed that some companies that get their customers involved by letting them participate in a blog involving company employees who are working on the cutting edge. A lot of companies will use their blogs only to promote their point of view. The best uses are where a glimpse of the human side of the companies is provided. A good example is Google. There are all kinds of Google blogs that identify what Google is working on, what they've learned, and what are some of the outstanding questions. Of course, Google is open to people providing comments. Each of these blogs has thousands of comments. You can see the advantages from Google's point of view, and how that sits with their customer community. Sometimes a Google spokesperson will put in a blog entry saying, "If that's your comment maybe you didn't understand what I was trying to say in my last entry" or "Maybe you guys have a point and we didn't think that through very well; we'll go back and change it." It's worth emulating the best examples where there is an open exchange back and forth between a company and its customers in a blog. The ones where, as I said previously, customers feel they're going behind the scenes – they're not just getting the company's party line. They're learning about new products and services under development, new policies that they're thinking about implementing, or the product they just rolled out and welcome customers' and potential customers' feedback. Another model is where there are active customer commentators who are given an offer to be sponsored bloggers on the company's website. It is less frequent but you find it in many technology companies. Microsoft has a number of these. They are basically evangelists, but more authoritative or authentic. They're not employees; they're passionate users who have a point of view about a particular topic or area of expertise. For example, Intuit has a lot of people who are experts in areas such as small business accounting or tax law, and they do blogs on the Intuit site. You find it with Microsoft lead users where there are PowerPoint jocks, Visual Basic jocks or other special areas. They post their own ideas and thoughts, and they answer a lot of other people's questions. Blog meets customer support or online communities. I think the hybrid approach works best. It's where you're not just using a blog to talk to the world; you're using a blog as a way to spur discussions. VB: And that may explain why some blogs are exceedingly successful and others wither and die. Patricia Seybold: There are a lot of blogs that are like soapboxes. They don't necessarily wither and die. There may still be a place for a soapbox that doesn't necessarily start a big discussion or become a destination flight. But many people are interested in hearing more than what you have to say. There's a lot of blogs where there is interesting dialogue going on. VB: Customers 'love to be "published," acknowledged, and heard' – it's human nature. Is figuring out how to enable customers to "strut their stuff" a key part of outside innovation? Patricia Seybold: I heard that phrase from Tripod way before I thought about customer-led strategies. Bo Peabody of Tripod said he was the first guy to figure out that he could create a business out of letting customers create their own websites. It was in the pre-blog era. Customers are not only promoting themselves when they're showing off and using your products, they're also promoting your brand. A good example of that is Karmaloop, the urban apparel retailer. It caters to young people who wouldn't be caught dead in the kind of clothes that you could buy at a normal store. They want outfits that they can mix and match, find the best possible designer, and have the coolest look. They want to show off their taste in clothes, but they also like to show off by promoting the kind of designs that Karmaloop sells. It is outside innovation in the sense that you're letting customers lead, but it's also brand and customer experience oriented in the sense that you're appealing to their self-image, to them seeing themselves as part of your brand, and helping to amplify your brand. VB: Three years ago you predicted that mashups would take off at a rate that would surprise even the most optimistic people. Has this phenomenon taken off beyond your expectations? Patricia Seybold: I think it is pretty much in line with my expectations. It's another example of innovation toolkits. Mashups are little chunks of functionality, information, or information plus function that you can use by themselves as useful little tools or widgets. Or you can combine them in interesting ways to create a mashup of one, two or three of those to serve some need you have. I am surprised how much time people will spend creating mashups that are for completely frivolous purposes rather than for useful business purposes, or as a tool to help get something done. The majority of widgets and the majority of mashups made out of multiple widgets seem to be everything from weather to comic strips to people's favourite music. But there is a huge potential. Probably the best place to see the most useful kinds, albeit some are also frivolous, are the kind of mashups that people are using all kinds of mapping tools. They will plot data sets against Google Maps or other maps, such as those available from Microsoft and Yahoo. Then other people can add a third data set against that mashup map. There's a wide range of these mashups available; for example, for tracking bird species, or environmental changes in water quality and how that relates to air pollution. These are the kinds of useful mashups that I think we're going to see a lot more of. VB: Traditionally businesses have jealously protected their intellectual property. Why do business leaders need to reconsider this approach if they wish to be successful in the new environment we call Web 2.0? Patricia Seybold: That's a really good question. As an author and publisher it's one that I constantly thrash about. I think we all have to stop and think about what is the value that we're providing in the intellectual property, and take into account how do people need to use this information. Obviously, if it's music they want to play it, and they also want to share it. If it's analysis, insights, opinions, or news coverage people want to share it. They want to build on it; they want to comment on it. From a business model standpoint, I believe that it should be possible for people to monetize the original publishing of their content. They can do it through advertising or by selling it. People can buy it by the piece, buy an album, or buy a pay-per-view movie. We shouldn't assume that we're going to lose that. The next issue, where there seems to be the most problems, is when the owners try to prevent people from building upon the original content, commenting on it, sharing it, making a mashup of it, or whatever. They put these uses in the same category as the original content. If I view a work once and I pay for viewing it, maybe there's a step we're missing. It could be as simple as making sure I'm giving credit where credit is due, but it lets me go beyond fair use – more than a paragraph, more than a musical phrase. It lets me include a big chunk of the original work in something I'm republishing and distributing to a bunch of people because I'm adding my value to it and I want to strut my stuff – but I want to include the original work as part of this new work. VB: Of course the typical model is the intellectual property owner would expect a royalty payment for its use. Patricia Seybold: Yes. It may not be a royalty for every time. Maybe what we're missing – I'm just thinking out loud here – is some way to let me say I want to pay a one-time fee for the ability to read the material and distribute it to another ten thousand people. Redistribution rights may be what we need and we don't have that ability. The extreme positions seem to be you pay for it and you get to use it with restrictions, or else you rip it off, pay nothing, and share it with everybody. There's got to be more middle ground that doesn't require a lot of extra work on people's part. One thing that was really brilliant about what Steve Jobs did with Apple iTunes was to figure out the business model for the ninety-nine cent song. All he did was watch what people were trying to do and develop a business model to do enable them to do it. I think that's where we're stuck. People have come up with mechanisms for protecting the intellectual property rights, but they haven't come up with enough different business models for enabling the content to be reused in a variety of ways that we can't even imagine. VB: Would you talk about "Patty's Pioneers?" Patricia Seybold: Sure. Patty's Pioneers is a group of technology architects that have been getting together since 1989. We get together twice a year, face-to-face, and in between we have e-mail interactions and discussions. These people were early adopters of what we would now call service-oriented architecture – software services as a computing model. They understood way back in the late 1980s that software was going to end up being written as small modular chunks of services that were requesting answers or services from other pieces of software. That's exactly what's happened. They foretold the new Web 2.0 world that we're in, although most of the products and services people were working on back then weren't Web-based. This was pre-Web. They are IT people who run systems for power plants, stock trading, or supermarkets. They think about technology in a very similar way – a pretty enlightened way. And they've stuck together as a group for almost twenty years now. Over the years some have retired, and I've found a few new people to join, but the original people are still very much a part of the little group. We love to compare notes every year. Half the stuff we talk about is technology and other half is what is going on and how do we make sense of the world. VB: It sounds like a powerful think-tank. Patricia Seybold: It is. I value it immensely because there are people who are much more technical than I am. Most are professional software developers or designers, although many of them are running companies. I learn a huge amount about what's going on in technology trends by listening to them talk and share their learnings with each other. VB: In light of the expanding role of open source software, is selling "software as services" going to be the predominant business model in the future, replacing selling licenses and maintenance support for commercial "off-the-shelf" software? Patricia Seybold: Yes, I think so. The idea is that you buy the drink; you buy the services that you need. Right now of course we have a lot of need for these kinds of things that many of us use for all kinds of things. But you're not paying for software once and then paying for a subscription or a license to maintain it. It's more like you pay for as much as you use for as long as you use it. You might use it occasionally or you might use it on an ongoing basis. I think it's a model that fits the way we tend to design and use software much better today. VB: That's probably the result of open source and also the ubiquity of the Web. Patricia Seybold: Open source has given people a lot of open and free options, and therefore lowered the price that can be charged for commercial software. When you have competition that is not only open but also free, the people who are charging a lot of money for software have to be giving a lot of extra value to justify their charges. It can't just be the functionality. It has to be software that is really superb in order to be worth paying extra for. Open source has done a lot to commoditize software, maybe in a good way, by bringing the prices down and making people more realistic. Open source software has also made it easy to start up a business because anybody can pick and choose the ‘best of breed' software services, whether they're open source or commercial. Software is being designed to be much more granular, and easier to connect to one another. They interoperate and can be mixed and matched at a much smaller level of functionality – components that are very function-specific. For example, in my company we used to use one monolithic package, Lotus Notes, for online discussions, collaboration, e-mail, and keeping track of a lot of things. Now we don't. We use free Google Mail, and project management software on a pay-as-you-go basis. We use WebEx for online meetings that we're hosting and collaborating with customers. Most companies are taking a similar approach, where they plug together software applications and get rid of the software components that are not working. It provides flexibility to take on new software to meet specific needs. Sometimes you can trial it for free, and then pay as you go. This approach is much more disposable and granular. VB: If Microsoft doesn't dramatically change its business model, can it survive competition from open source products such as the Mozilla Firefox browser, constant virus attacks on its software, and attempts by other large companies to reduce its monopoly – not to mention government scrutiny of its monopolistic position in the marketplace? Patricia Seybold: I don't know. I've spent much less time thinking about Microsoft in the post-Google era than I used to spend. In the 1970s, 80s and 90s I spent a lot of time thinking about Microsoft, watching their every move, and being very much a user. I still am a user of a lot of Microsoft tools and software. I don't think it's a business model question for Microsoft. They will continue to have a huge following and a huge market, because they have a lot of good low cost products. The Intel-based PCs and software programs that cost about $300 to $1,000 enabled the PC revolution, which is no longer a revolution since they've been in the marketplace for about twenty years. It meant we didn't have to buy a big mini computer or a mainframe, and share it with hundreds or thousands of people. With the PC revolution information was at my fingertips – on my desktop computer. Where Microsoft has pushed the envelope, and has a strong following, it's in the gaming world. Also, in the developer community, people like a lot of the development tools that Microsoft has available. And it's still strong in the general-purpose office, run your business, applications. You see that all over the world. I go to Africa on a regular basis, and I see that everybody's using PCs with Windows and Microsoft Office. They're not using this software because it was foisted on them; they are using it because it gets the job done. Microsoft has had the biggest problem in competing head-to-head with Google, a lot of their Internet online strategies such as MSN, their various attempts at being a portal, and their various attempts to enable downloadable music. They kept trying to lock in the handheld market on cell phones and PDAs. They're definitely a player there, but I don't see that they've won. There's a lot of different operating systems on these handheld devices, and many are much more specialized and probably better than what Microsoft is offering. I don't know that it is a business model issue as much as it is a question of which way customers seeking solutions from Microsoft and is the company smart enough to follow where customers are going? VB: That applies to all businesses. Patricia Seybold: It certainly does. VB: You express hope that scientists, and researchers in industry, academia and not-for-profit organizations will find ways to collaborate openly in the discovery, testing, development, and deployment of biotechnology advances for humanitarian projects such as new drugs for developing countries. Are you seeing signs that make you optimistic this will happen, and how might outside innovation play a significant role? Patricia Seybold: Actually I am. The open source software world has spilled over into the scientific world. There's an open source commons for biotech and the human genome, and for a lot of life sciences, chemistry, and other forms of scientific sharing. The issue I raised in the Outside Innovation, and I didn't devote a lot of time to researching that whole area, relates to the patent thicket, as it is called. There is an incestuous and fairly longstanding situation where researchers either at corporate laboratories or university laboratories have to protect their research because that's what their employer requires. The resulting patents can presumably be cross-licensed, but that gets very complicated. I think the idea is that people are going to work together to cure cancer, and not worry who gets the royalties from the cancer curing drug, is unrealistic. I suspect over time the same type of thing will occur as has happened in the open software world. A lot of research will get done in an open environment. In the book I pointed to a few examples where that is already happening. Some is pre-competitive or the development of tools and algorithms that everybody needs in genetic engineering. They are the building blocks that the participants agree aren't where they're going to differentiate themselves. So together they work on those areas openly, share, and try to continuously improve their knowledge, and then they make their proprietary investments higher and higher in the biological stack. I see a lot of analogy between the software and life sciences worlds. I don't know enough about the life sciences to be able to really be cogent on the subject. I do know there are some good metaphors and analogies that seem to apply. I remember talking to Monsanto about doing genetic engineering of particular traits for particular kinds of plants. For example, developing rice that is going to keep people from going blind because it has been engineered to have more vitamins, the way that is done is very similar to the way you would build a software stack. You start with the tools and techniques that are generally available, and the real differentiator may be something you can charge for because you're adding value. In the case of something that is beneficial to humanity, like avoiding blindness, they may very well choose to make that freely available to people rather than charge for it. VB: You say customers up-sell themselves. When they order online, such as a computer from Dell or an automobile from BMW or Volvo, they add more functions and features that increase the selling price than when they place their order by telephone or online. What does that tell us about the nature of customers? Patricia Seybold: What seems to happen when you have tools that let customers self-serve and customize is people get seduced and entranced by the whole process of ‘turning it into mine'. That's as long as the customization tools are not too elaborate, there aren't too many steps, or it doesn't' make you go back and forth in the online ordering process too many times. The effect is it's making it ‘mine'. Even if I'm giving the product as a gift the ability to change color, put in leather seats, or decide among other options, it gives a lot of personal satisfaction and enjoyment. The enjoyment of actually doing up the order is almost as enjoyable as the resulting product or vehicle. I really think that it is the future. More and more of what we buy are going to be custom configurable. The only way to do it cost effectively is to give customers the tools to be able to do it themselves. The other key piece of that is customization. Customers can put in whichever radio, seat covers, and other options they want. We now see in footwear products – athletic shoes and sneakers – a combination of customization and personalization, such as selecting the fabric. Customers can design their own fabric for their shoes. You can imagine if you were a customer ordering a Mini Cooper you could pick your colors for the tops, sides, and the bottoms. I guess people could design their own roof panels with their own mottos. VB: You predict the automobile industry world-wide will move from a build-to-stock model – for stocking in dealer lots – to an assemble-to-order model, similar to that of Japan, Europe, and South America. The current business model in North America has led to an over-supply of vehicles, and partially to the current financial crisis in this sector of the economy. Do you think that GM, Ford, and Chrysler will be able to make the changes necessary in order to survive and ultimately thrive? Or is it too late, the government bailouts notwithstanding? Patricia Seybold: That's another good question. I don't know if they have it in their DNA. Their business model has grown a lot of baggage over the years. It may just need to blown up and started over again. What saddens me about General Motors is that Saturn was a great customer-centric division where they paid a lot of attention to customer experience. They had customers very involved in the design of cars and the whole customer experience of what it's like to buy a car. They would have big festivals at the plant and everybody would come and show off their cars. That's one of the first divisions, as I understand it, that they're shutting down. That's really too bad. They said it isn't profitable and I don't really understand why. Somebody should do a case study on this question. Maybe it has been done, and I haven't noticed. It seems to me when you have a very large broken organization, what's going to happen to it – whether you do it or the world does it for you – is it's going to end up imploding on itself. Or it's going to shatter into a bunch of smaller organizations that can be more nimble and start acting more like a start-up. We've seen this pattern many times in many companies where good companies know how to cannibalize themselves, or they spawn innovations from within. For example, right now at the Mars Candy Company – the M&M group – did a small skunk-works project to enable customers to customize their own M&M's. You can get them for your kid's birthday party with little message, the kids' pictures, or their favorite motto printed on them. That model of print-you- own picture or motto, pick your own colors, put it in whatever package you want, or order enough of them to give to all 50 kids in the class has turned out to be an interesting little business for the Mars Candy Company. It's still fairly small, but they're taking that little innovative group and tasking them with figuring out how to personalize all of Mars' candy bars. The question is what are the different ways the candy bars could be a personal statement, instead of just a mass supermarket commodity product? Mars is not going to do away with the mass-market business – that's where most of the profits come from and it's done to scale. But they're also doing perhaps 10% of their sales from custom candy. Good, big companies figure out how to grow those things from the inside. It doesn't look to me like Chrysler, Ford or GM has managed to do very much of that kind of innovation, at least in the U.S. I know, for example, in Brazil, Germany and the U.K. there are many innovative parts of those companies. I wrote about the U.K. part of GM in The Customer Revolution – what they were doing for Vauxhalls. They were doing a lot of really interesting things. VB: But they didn't translate that into the corporate culture. Patricia Seybold: No. We talked about being customer-driven. One of the things that has been a problem for these companies is they are too driven by their dealers. The automobile dealers in the U.S. have incredible power and clout. They have prevented the U.S. car manufacturers from doing the kind of just in time manufacturing and customization that is pretty common in other parts of the world. The other thing they have as shackles is the very high cost of their employee pension plans, which makes it hard to compete with the other manufacturers. I'm not against labour unions – I think they're actually a pretty good things – but I can see the problems for Chrystler, Ford and GM resulting from their big constraints. They can't change the labor rules, can't lay anybody off, and have to pay higher wages. And they can't be agile or customer-focused as they need to be, because of what their dealers perceive their business to be. It appears to not have occurred to the dealers this is not a sustainable business model. VB: You are dismayed by the number of companies that offer custom-configurable products, but do not commercialize those customer patterns that recur frequently. What are they thinking, or is it that they don't understand the basic principles of outside innovation? Do they need to read your book, Outside Innovation? Patricia Seybold: I think so. I was at a Smart Customization conference in November. Representatives who are responsible for mass customization in a number of different companies attended. Only about 10% of them had thought about how to capitalize on the patterns of what their customers were building. It just hadn't occurred to them – fascinating. VB: Is the way Mike Lannon and Mary Obana designed the Koto® fitness/interactive software and exercise equipment an almost perfect case study of "outside innovation"? Patricia Seybold: I think so although if they were a perfect case study they would be making money hand over fist, but they're not yet. I've been watching what has been happening with their business. They're successful, not going out of business, but they haven't achieved a blockbuster hit yet. They discovered that their distribution model of trying to sell to health and fitness clubs up to now has not been the best fit for them. They have a manufacturing agreement with a large sports equipment company that can manufacture the product cost effectively, and effectively distribute to fitness clubs. But sales haven't taken off in the hundreds of millions of dollars like they expected. They think it's because most of the health and fitness clubs aren't very customer-centric. Their idea is to get the customers in, get their monthly fees, and keep them as paying customers for as long as possible without high utilization of the equipment. VB: Also steer them towards their person trainers. Patricia Seybold: Exactly. Lannon and Obana tried to address the personal trainer question by getting them engaged, involved, and showing these trainers how they could use the Koko® Fitness machines and the software programs to intersect with the customers when they finished a program to help them with the next one. It turns out they think franchising is the best fit for them. They have a demo facility at their headquarters in Norwood, Massachusetts, and they've had people who live in the area banging on their doors wanting to use their equipment. So they decided to set up a shop down the road and run it like a little health club, but it just has Koko® Fitness equipment and a few other things. It became an instant success. They then had people saying they wanted to set up the same type of fitness center in their neighborhoods. Lannon and Obana ended up with a customer-driven franchise model. Right now what's happening is very similar to what happened with Curves. Of course right now it's not a great time to borrow money, but people who do have some money and feel they want to be entrepreneurial are beginning to open up Koko® fitness clubs around the country. It's people who want to have their own business instead of working for a large company, or being laid off from a large company. VB: How do you get all parts of the company supporting 'outside innovation'? Patricia Seybold: The key is to have, as I said earlier, a corporate culture that values directly engaging customers in every department and product line area. This applies whether you're in the accounting department trying to improve accuracy and save costs by avoiding reworks of bills sent to customers, or you're in the R&D lab. Frankly, I often find it's hardest to get the people in the product development group – the traditional R&D employees, engineers and software developers – to want input from customers. They tend to have great ideas about what and how they want to do something, and have a large "not invented here" syndrome. This is why National Instruments' approach is so interesting. That firm institutionalized the process that if you are a product developer you can't get your product through the executive approval pipeline unless you have a group of lead users happily working with you to bring the product to market. You need to have customers – not just any customer, but insightful, interested, engaged, and innovative customers – joined at the hip with key influential people in each area of your business so the whole company becomes much more customer-focused. Particularly for a sales-driven company, your salespeople also need to celebrate customer innovations they find in the field. Tetra Pak, the manufacturer of packaging equipment and supplies for the food and beverage industry, has storytelling of customers' innovations down to an art form. At every sales meeting in another company the salespeople talk about the nifty, unusual things customers have done with the company's products. This focus has become part of their corporate culture. VB: You refer to "Gen G" as the increasing number of people who play video and online games, thereby developing the ability to be "more flexible, adaptive, and self confident", and to "fail fast and often, and pick themselves up and start over." Do you indulge yourself in playing online games? Patricia Seybold: No, I don't. I'm an outsider as I'm a baby boomer. I tried online games when I did research for Outside Innovation, and I downloaded the Spore simulation game. I've played with it, but I never made the shift to be an online gamer. Patricia Seybold: It does. I think it is something you have to be willing to spend the time to learn, and it has to be something you really enjoy. I just haven't made that shift yet. VB: Would you talk about the customer innovation guides that are available on your website? Patricia Seybold: Right now they identify the competencies you need to master in relation to the different sections contained in Outside Innovation. They are structured to be self-assessment questionnaires enabling you to assess how well are you doing in these areas. What we haven't done, but have been planning and are finally getting around it, is turn those questionnaires into interactive surveys. This will enable you to conduct your own assessment, and share your assessment with your colleagues in order to compare with their separate assessment of your firm. It will also enable you to see how you stack up compared to other firms that are filling out their own assessments. The focus is self-assessment. It's not intended to be a tool for an objective, third party assessment such as how your customers judge you. The idea is to give you a rap on the side of the head and say, "Wait a minute, have you thought about this idea, are you doing anything about that competency? If you are that's a good thing; if you haven't maybe you should think about it. VB: You are the CEO of The Patricia Seybold Group. Would you talk about the consulting services your firm provides? Patricia Seybold: We help our clients do three things. One is to make it easy for our clients' customers to do business with them. The second is to make it easy for their customers to get things done. That may or may not involve the customer's interactions with the company. It focuses on what it is their customers are trying to accomplish that the company may be able to help them with. The third is to make it easy for customers to reach their goals, which is similar to the second item, but it has to do with what people are actually trying to do in the first place. Typically we start with the first if the company wants to improve the customer experience they offer – whether online, on the phone, in the store, cross-channel, or in the interaction with your products. The goal of this first step, of course, is to make it as easy as possible for customers to interact with your company whether they're trying to buy something, use the product, or for whatever other reason. There are often business and technology angles to our consulting work, because our clients are usually people who straddle both aspects of their company. They may be business strategists or product line managers responsible for particular product lines that contain some embedded technology. Once our clients become good at identifying and improving the customer experience, usually by working with their customers to identify innovations through our customer co-design approach, customers will begin to provide information about what they are trying to accomplish. This involves the question 'How can we make your life easier?' How can we transform ourselves to better meet their needs – whether they're consumer customers or business customers? How can we come up with better products and services that might help customers achieve their goals? It's at this stage we have moved forward from only focusing on the customer experience to the customer-focused innovation. VB: Is that what you call customer roadmaps? Patricia Seybold: The customer roadmap is typically used whether it's focusing on improvements to the customer experience or coming up with better services and products that customers will value. In both cases there is a roadmap involved, because once customers show you what their ideal is, you have to figure out how you're going to get from where you are today to where you ideally want to be. That's the function of the roadmap. A good way to think about it is as a customer-prioritized set of actions that will help you be more profitable in your business, or more effective as a not-for-profit organization. VB: You facilitate your customer's thinking process through that approach? Patricia Seybold: Yes, but it is usually important to have two things involved. From a company standpoint, you should make sure that these projects are multi-stakeholder projects. It doesn't work well to deal with only one product line or people from only one part of the organization – for example, just the e-commerce group or just the call centre group. You need a cross-functional team to work on these kinds of initiatives. The second is to get the cross-functional team engaged to the extent possible directly with customers to ensure that customers help in the process. The team co-designs with customers, and they learn how to put themselves in their customers' shoes. They can work with customers to come up with better, streamlined processes or new product ideas. VB: How did you initially become involved in providing consulting services and what led you to focus on customers in your research and writings? Patricia Seybold: We've been in business since 1978, and we have always provided business and technology strategy consulting. Our customer-specific focus arose around the mid-nineties, I think it was about 1994, when one of my clients came into my office, dropped down in a chair and said, "We've been spending all this money on technology and it's not helping. Our customers hate us!" He effectively threw down a gauntlet. At the time we weren't particularly focused on customer-related technology. We were helping companies with office automation technology and things like that. He was saying, "So now I get all these e-mails and I have all these spreadsheets, but it doesn't make my customers any happier nor does it make them feel like we're treating them any better. So there's something wrong." After that experience I turned to my small team and said, "Gee, I think we should focus on how to use technology well to make life easier for customers and what should be the right business strategy to attract and retain customers. Technology should make it better and easier for customers to get things done that they care about so they want to do business with you." That's when I started researching how companies were using the Internet. What was their Internet strategy? Out of that research, which I started in 1994, came my book Customers.com which focused on how to make it easy for customers to do business with you by using the Internet. It turned out what they were doing with the capabilities of the Internet really worked. Patricia Seybold: No, absolutely I'm not a geek. I'm a generalist with a literature language background. My background in language, linguistics, and literature makes me want to ask questions and appreciate vocabulary. There is different terminology in every field. I've never been intimidated by technical jargon; I just ask people to explain what they mean by their technical terms. I wouldn't say I'm a geek but over the years I've hung out with people who are technical architects, technology architects, or information architects. They're the people who work on how we design technology and sets of information in a way that is the most functional, practical, and usable. VB: Do you often have to ask them to speak in plain language rather than using technical jargon? Patricia Seybold: At first, when I was younger, I would pretend I knew what they talking about and go home and look up technical terms. I discovered that most technical people like to explain things. So I always ask if I don't quite understand what they mean, or it's something new. I will ask them to tell me about it. Of course, they love doing that. VB: In your books you make extensive use of case studies of large and small businesses to illustrate your points. Are all your case studies from your consulting work? Patricia Seybold: No. They are usually people whose work I admire. A lot of the case studies I've included in my books are about companies that were referred to me, I discovered along the way, somebody tipped me off about, or I had personal experience with them. I then found somebody in those companies who was doing really good work, and asked them to tell their story and be willing to have it published. Not everybody who has a good story to tell is allowed to. Sometimes I've taken a risk. I remember working with the people at Tesco, a large supermarket in the UK, and when I started interviewing them they said, "We're happy to talk to you, but you can't write about any of this material because we'll never get our public relations people to clear it. I replied, "Well, it's such a good story. Why don't you tell it to me? I'll write it up, we'll send it to public relations, and see if we can get approval." Sure enough they did give approval. It's one of the few case studies that have been written about Tesco, and it's included in The Customer Revolution. VB: You give keynote speeches, and make presentations to many corporate groups. What types of presentations are these? Patricia Seybold: Usually what I'm trying to do is either try out the material for my next book! Seriously, the reason people hire me is they want to understand the latest trends in business and technology strategy that they should be thinking about vis-à-vis their customers and what is likely to happen in their industry. They want to think 'out-of-the-box' about the likely changes to their business or industry that will result from the ways customers are using technology. A lot of the themes in The Customer Revolution and Outside Innovation are appealing to people because they want their executives, salespeople, or internal IT group to experience a whack on the side of the head. For example, I spoke to the entire IT group at Fidelity. They are very technology-savvy and they know a lot about financial services, but they don't usually have time to think about the possible impacts on their business of what's going on in online retailing. Or what about online communities that may influence what people will want to do in the financial world. It's an opportunity to obtain an external point of view, always from the point of view of what are customers doing, what do customers care about, and what questions arise that you should be thinking about for your own business. VB: You are a very busy person. How do you organize your time? Patricia Seybold: Probably badly the way everybody else does! I am a writer, researcher, and consultant. While I can multi-task and have a lot of balls in the air, for consulting or research I set aside large chunks of time to work on each project. I typically devote two or three days in a week or over several weeks to work on a major project. VB: You immerse yourself in it. Patricia Seybold: Yes. And then I try to get other small tasks done in and around those blocks of time. That's what I've found to be most productive for me. VB: Outside Innovation was published in 2006. Do you have the topic of your next book? Patricia Seybold: My next book, my next literary effort, is going to be to revise Customers.com and The Customer Revolution. I'm going to do them as blogs or Wikis; I'll put all the content up as a Wiki that anybody can add to or comment upon. They'll be much more like living books as I update the case studies, and I hope to link to updated news sources about each of the cases. As I find new cases to write about I'll add them. That will make them much more of the nature of living books. Also people will be able to buy them as e-books and download them onto their Kindle eBook Reader available from Amazon, or get a paperback version if they want to take it to read on the plane. VB: The books will evolve and be updated over time. Patricia Seybold: Right. It's something I've wanted to do for a long time. When I get that done for those two books I'll turn my attention to the next book. The next one will probably be about customer-centric ecosystems. We talked about customer experience, customer innovation, and being customer-centric in a business. But the world works in an ecosystem. In business we call them demand chains and supply chains. In healthcare and any other industry there's a whole ecosystem of partners – everything from government regulators to all the different stakeholders, and the end customer. Healthcare is a great example because there's the end patient, doctors, nurses, interns, suppliers, clinics, hospitals, the different insurers, pharmaceutical companies and the list goes on. The best of these ecosystems are customer-centric in the sense that everybody focuses on customer outcomes and key success metrics. They generally know what these outcomes and metrics are, and that's the focus of the various components of the ecosystem. I think human beings naturally operate with an understanding they are part of an ecosystem, but we don't design our businesses, organizational structures, or our reward systems that way. I'm going to look for good case studies and people who are doing good jobs of design. The other thing I'm working on relates to emerging markets. How do you do good customer-centric innovation and promote growth in emerging economies, such as Africa, Brazil, China, India, and Russia. VB: You continue to learn and explore. Patricia Seybold: Yes. Absolutely. Otherwise I would be bored. VB: Are there any topics or questions I should have asked you but didn't? Patricia Seybold: I think you've done a great job. No, I can't think of any. While there are many other forms of innovation, we are encouraged to think about all the ways we can harness our customers' natural inventiveness to power our company's growth. It's the power of co-designing with our customers. In case we are not convinced, Patricia Seybold has identified some interesting and useful design principles. Many customers are creative by nature. The main reason customers design and contribute valuable intellectual property to a company is to express themselves. Customers whose self-image is heavily invested in creating a particular brand, look, environment, or product seem to be happy to promote the brand to which they've contributed (a form of 'self-promotion'). Customer co-design is a communal effort – it's more fun. Patricia Seybold is founder and CEO of the Patricia Seybold Group. As a consultant she uses "a coaching, mentoring, and learn-by-doing consultative approach to help clients achieve their goals as they transform their corporate cultures to be more customer-centric. She helps her clients' teams redesign their businesses from the outside in by inviting their customers to invent new streamlined ways of accomplishing their desired outcomes, using their own real-world scenarios. Seybold's Customer Scenario® mapping methodology facilitates cultural change in organizations as key stakeholders from different product lines, departments, and organizations join with customers to co-design customers' most critical interactions." Seybold is the author of Outside Innovation: How your Customers Will Co-Design Your Company's Future, The Customer Revolution: How to Thrive When Customers Are In Control, Customers.com: How to Create a Profitable Business Strategy for the Internet and Beyond, and co-author with Martin Lindstrom of BRANDchild: Insights into the Minds of Today's Global Kids: Understanding Their Relationship with Brands. Her articles have been published in Harvard Business Review, CIO Magazine, Fast Company, and Computerworld. Seybold has a BA in Comparative Literature from the Goddard College, Vermont.